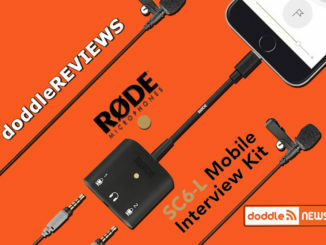 With more people shooting on DSLRs, Mirrorless cameras, GoPros and even their smartphones, the need for more portable LED lights to brighten their way is becoming key. Lume Cube is the 800 lb. 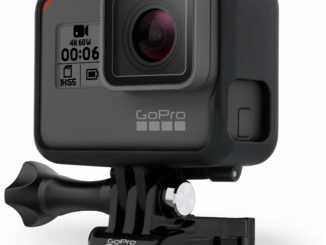 gorilla in this category, but Litra is giving them a run for their money with a new update to the LitraTorch design, that brings professional grade performance to a popular and compact, cubed design. At first blush, you’d think that there’s very little difference between the Litra Torch 2 and the Lume Cube. Both have a similar cubed design, with a rugged, ribbed aluminum casing that acts as the light’s heat sink. 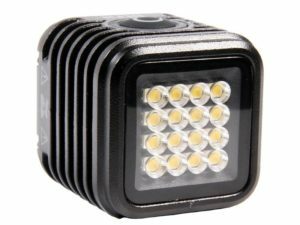 But while the Lume Cube has a single, powerful LED, the LitraTorch 2 creates an array of 16 individual ultra bright LEDs, double that of the previous model. The result is a luma output rating of 800, 5700K daylight color temperature, and a CRI of over 90+. The eight additional LED bulbs in the array even out the shine, and that additional 10% of battery life with certainly be welcome. I also think that the built in magnet will offer a lot of possibilities! The thing I really like about the LitraTorch, however, is that it comes with a rubberized white diffusion bulb cover to even out the harsh light these ultra bright LED lights can emit, and a 1/4-20 GoPro adapter that can place enable attachment. That’s a clear advantage over my Lume Cube, which came with no additional accessories. They are available, sure, but these came in the box. But where Lume Cube continues to stay ahead of Litro is in the area of being able to control the light with the Lume X app on your smartphone from up to 60 feet away. 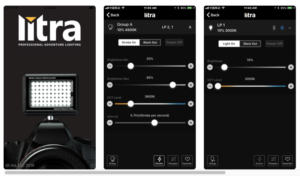 That was my chief beef with the original Litra Torch, and I thought that when they came out with the Litra Pro, and included bi-color Bluetooth control through their own Litra app, that things had turned a corner. However, it seems that they’ve opted to keep that kind of functionality in their professional model. Too bad, as it would certainly be worth another $10-20 to the price tag to have that. Still, even without it, I like the upgrade to the LitraTorch 2. It’ll continue to put pressure on Lume Cube and other portable LED light makers to continue to innovate. But they really need to get on that app capability if they want to take the LitraTorch to the next level. Otherwise, they’re just adding fins.